What Will Hops Taste Like Next? Hop descriptions are getting a little crazy. I can't say with certainty that this is a new trend — I haven't been around long enough. In the early 2000's, were hop breeders releasing dozens of experimental hops with weird and wild descriptions? 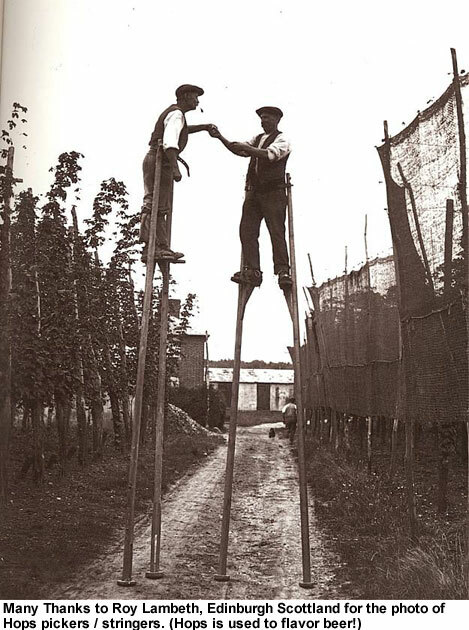 Even if they were, the hop industry wasn't set up the way it is now; internet merchants were not established, and homebrewers were not as abundant. Today, it seems, we homebrewers have the opportunity to act as beta testers for all the wonderful things happening in the beer world. It's a great time to be brewing beer. I certainly can't imagine any other point in history when hop farmers would consider releasing a hop described as "chocolate coconut." Yet here we are. I also don't think it's over-simplifying things too much to say that, for most of brewing history, hop flavors fell into a few limited realms. Historically, hops — Europe and the UK providing most of the world's varieties — fell into various combinations of floral, spicy, and earthy, adding up to the general sum of "hoppiness," or whatever you want to call their base flavor. These few specific flavor profiles were cultivated, and errant varieties were discarded. Again, at the risk of over-simplifying: many of those traditional, old-world hop varieties offered a similar profile with the same basic settings — those settings just being adjusted to different levels. I often describe red wine in this way (usually when explaining why it doesn't really interest me very much): a consistent base flavor, but with one knob turned down a little, another turned up a little, another knob at its medium setting, and so on. Differences tend to be subtle, as the available flavors are different shades of one color; nuanced implications of something outside itself. It's got to be hard to grow a grape that will taste like a mango. Or strawberries. Or grapefruit. But for some reason, hops seem to have transcended the limitations of nuance, the boundaries of "tasting like what they are." I can't really think of anything else out there like hops — anything that has such a dynamic range of potential flavors. Is there another naturally-occurring flavor-creator as multi-faceted as this wonder-flower? This is why IPAs are the most popular style of craft beer right now. One of the most intriguing portions of For the Love of Hops, by Stan Hieronymus, is the chapter on hop-breeding programs, showcasing the amount of effort and time that goes into developing new varieties; the shifting emphasis (and obvious excitement) that hop farmers and researchers show today for new varieties; and the implied optimism for a future full of new and exotic flavors. Because, after all, we have only to look at the past to see how quickly these new flavors — variations on the basic, classic hop theme — came out nowhere. Two hundred years ago, we had floral, earthy and spicy hops, mostly from those prized varieties out of Germany and England. American hops were considered inferior, with a distinct "American tang" and a flavor profile described as black currant and catty. Only in the last thirty years has the potential of American hops been embraced, much less unlocked. Cascade hit the scene, and all of a sudden the default character of hops (in the eye of the craft beer drinking public) shifted from spicy European hops to citrus and grapefruit in American pale ales. This opened up a beachhead, seemingly, and most new varieties followed in this direction, flooding the market with hops echoing variations of citrus flavors, and soon, tropical fruit, mango, peach and melon were new shades on the color wheel. Pine became a staple of American IPAs, and where once the synthesis of hop flavors suggested something herbal and flowery, of the earth, the new movement evoked dank and juicy flavors. Once we got there, with third wave hops like Simcoe, Amarillo and Citra, hop growers wasted no time in developing the fourth wave, adding new colors to the palette like lemon (Sorachi Ace), lime (various NZ hops), cherry candy (El Dorado), blueberry (Mosaic), and gooseberries and white wine (Nelson Sauvin). The IPA I brewed this last winter with Hops Direct Belma hops — enhanced by the steroid-like power of Conan yeast — tasted unbelievably like strawberries for the first two weeks. And — as briefly alluded to in For the Love of Hops — there are those rumors of a new experimental hop variety that tastes like chocolate coconut. Yep. Of course, not every new experimental hop is going to be laser-focused on a specific new flavor; many of them are going to be subtle nuances, rather than outright flavor transformations. Nuance means that different people may have different interpretations, and if a description of a hop sounds like a crazy menagerie of characteristics, it just might be. While I haven't tasted anything brewed with these experimental hops yet myself, it looks like we can add either chocolate, coconut or watermelon to the flavor wheel. Basically the same, right? I suppose it's also possible there are two separate varieties popping up here, one of which tastes like chocolate coconut, the other tasting like watermelon and coconut. Either way, it's interesting, and unique. Most exciting of all? We're literally just getting started. Hop breeding programs are slow, expensive, and labor intensive propositions. Much of the research is being done in the Pacific Northwest of the United States, but old-world hop growing countries like the UK and Germany are starting to release some interesting new varieties as well. New Zealand has been pushing out some incredibly unique new hops, and the acreage devoted to hop growing in that country is quite small — I'd love to see a future where hops are one of New Zealand's main exports. Growing the same hop varieties in different countries — or even different regions within a country — will never achieve the exact same flavor, due to changes in the growing conditions. It's called "terroir," and it's hugely important to hop growing as well as wine. Simply developing breeding programs in new parts of the world will open up a new range of flavors that would have been impossible under old markets. This is why I am extremely excited for the new hop farms appearing right in my backyard, in New York (the state which was once the hop growing capital of the country, we'll be quick to remind you). New farms like Dutchess Hops won't be able to grow proprietary varieties like Simcoe, Citra, Amarillo and Mosaic (at least not for a while), but may hopefully develop new breeds of their own. Dutchess Hops has already expressed an interest in hunting down and testing out wild hops from long-defunct hop farms in the area. Another lesson from For the Love of Hops: Amarillo, one of the hottest hops out there today, was not bred intentionally, but was found just growing on a random hill. It's impossible to imagine what the brewing-world will look like in 50 years. The ingredients that will be available to us then won't look like the list of hops we have today. There's only one thing I can guess at with certainty: it will be face-meltingly awesome. Consider this an entry in what will be an ongoing series, "Why Beer Is Unequivocally the Pinnacle of Human Achievement." Yes, this is the conclusion we've been coming to. The reason there weren't 'hints of this, hints of that' tasting notes in beer writing before about 1980 is because they weren't needed: hoppy was hoppy, meaning 'reminiscent of Fuggles and Goldings'. 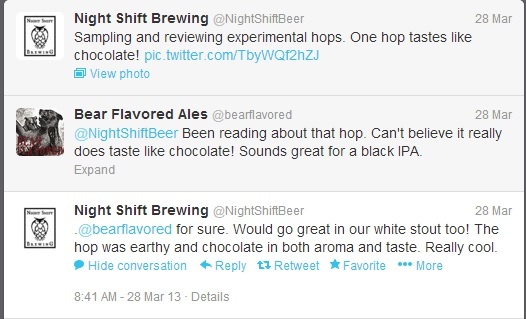 Yeah, hop farmers were looking for the "purest" flavor, I think. Rather than trying to branch out more and more, than were trying to hone in on an idea of perfection. Actually, I can think of one plant that can be bred and coaxed to taste as different and varied as hops... and that is the flower of the cannabis plant! Haha. Makes sense, I guess! Well, they are the only two plants in the same family after all! Are any of those experimental hops out yet? Also you know what will be interesting? When the big yeast labs will finally release their GMO stuff which they currently keep tucked away in freezers and boxes due to the really bad image of GMO. I think the author is a bit biased. The difference between these different hops isn't that different from the different tastes that is achieved in wine. It's all just bitter in the end.